Following on from the success of Snowbind Ragnar Jónasson returns with Nightblind and sure to be just as successful and his first. With Nightblind set a few years after Snowblind we are in the remote quiet fishing village of Siglufjörður which is situated at the very tip of northern Iceland and not the easiest of places to get to only via a tunnel in the mountains. Here Ari Thór Arason the local policeman, continues his difficult relationship with the villagers. If you read Snowblind you will have come to know Ari well and his let’s say you got to know all about his past fast forward a few years now. Now the village is having to deal with the murder of a policeman, who is shot at point-blank in a deserted house. Now a cold blooded killer is out there on the loose and the long dark winter days are fast approaching. Now the local policeman Ari Thór has to catch the killer before he kills again. Is this a revenge killing or the start of something more sinister? So who is the killer of policeman Herjólfur? Add in a strange woman who comes to town, who is she, well she is running away from something that is for sure, but what? When you add in local politics that is sure to make things difficult for Ari, the local mayor is compromised what is this all about and then Ari decides he needs help and calls upon the assistance of his old colleague Tomás to help. We discover a psychiatric ward in the capital Reykjavik ward where someone is being held against their will. 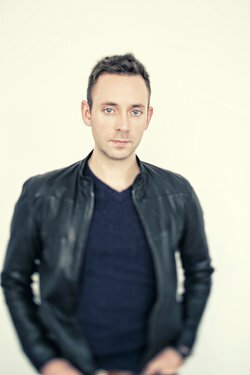 What Ragnar Jónasson gives us in Nighblind is a complex crime thriller written against a backdrop of the Wintery Icelandic scenery that Jónasson weaves into the storyline and is nothing short of breath-taking and just adds to the drama that is unfolding. One of the reasons I so enjoy reading Ragnar Jónasson’s Icelandic crime novels is that to me there is an air of the old ‘who done it’ may be it has something to do with Jónasson who translated a number of Agatha Christie novels into Icelandic when he was 17 years-old. There are plenty of clues along the way to help the reader to try and see if they can find the killer. Plenty of twists and turns to keep you up late at night. I have said it before some authors can suffer from second book syndrome but I am so delighted that this is not in the case of Ragnar Jónasson. 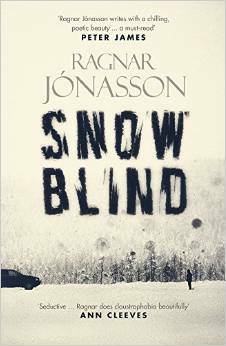 As Ragnar Jónasson’s first novel Snowblind the translation of Nightblind has been completed by Quentin Bates. My thanks to Karen Sullivan at Orenda Books for supplying a review copy ahead of publication. To my delight I even get a mention in Nightblind as part of the reviews for Snowblind which came as a rather nice surprise. If you are looking for the perfect winter crime novel that mixes not only drama but outstanding scenery, then from the land of fire and ice Nightblind is the Icelandic noir crime novel is one book to start the new year. One day I can see Ragnar Jónasson’s Icelandic crime novels being turned into crime dramas for the small screen they are just perfect for TV. Nightblind is released in paperback on 15 January 2016 by Orenda Books.